On Nov. 6, students were asked to wear black in recognition of the collective strength and unity of a people. It is a day that is supposed to bring all students, not only African Americans, together to celebrate the achievements of a people who were once oppressed and punished for the color of their skin. Although this was the purpose of this day, other students had their own views of what Black Solidarity day represented. Black Solidarity Day is an annual tradition on the campus of St. John’s University. Solidarity is defined as a union or fellowship arising from common responsibilities and interests, as between members of a group or between classes and people. Some students said that they did not know about Black Solidarity Day or what it meant. Therefore when they saw students dressed in all black and marching around campus repeating the chorus from James Brown’s “I’m Black and I’m Proud,” thoughts of racism and feelings of fear arose. Some students said they were intimidated by the event. “I felt intimidated when I saw all the students in Black and I think that they just keep bringing up the past,” said sophomore Sabrina Thomsen. This past Thomsen, an education major, referred to was the four hundred years of enslavement imposed on African Americans and the Civil Rights Movement from the 1960’s. 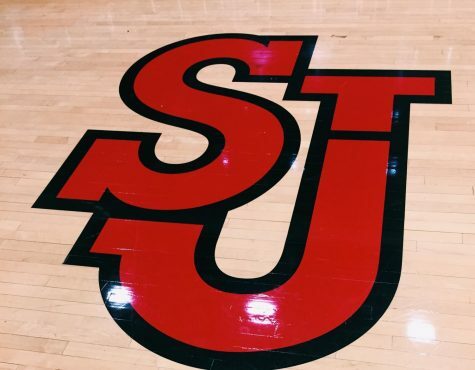 Dr. Lez Edmond, professor of African American Studies at St. John’s University, says that the negativity towards Black Solidarity Day is due in part to the lack of proper advertisement of the day by the African American organizations on campus. According to Edmond, Black Solidarity implies recognition of a culture and all it incorporates. “It is a day to celebrate your heritage,” Edmond added. In defense of Black Solidarity Day, Edmond said that it is necessary to display black pride. David Alcius, executive vice president of Haraya, the Pan-African Coalition on campus, said that Black Solidarity Day is not racist. “I agree that advertisement could have been better, but our purpose was not to exclude races, but to include anyone who wanted to participate, despite their ethnicity,” Alcius said. One of the events for the day was a dinner with guest speaker Simon Deng, a former child slave from Sudan. Racism or any sort of hostility was the farthest thing from the minds of the organizers of that day. “We try to promote Black Solidarity all year round and this day was meant to open up people to concern and care about what is going on in the African American community,” Alcius said.